Face the forces of heaven and hell in the upcoming Devil May Cry 5, which is set to launch on March 8th. See what the critics are saying with our review round up while you wait! It's been 11 years since we last saw Nero and Dante at the end of Devil May Cry 4, which feels like an eternity for some. However we did have the 2013 Reboot of DMC - Devil May Cry from Ninja Theory to keep us happy with demons to slay, unfortunately the game received mixed opinions. 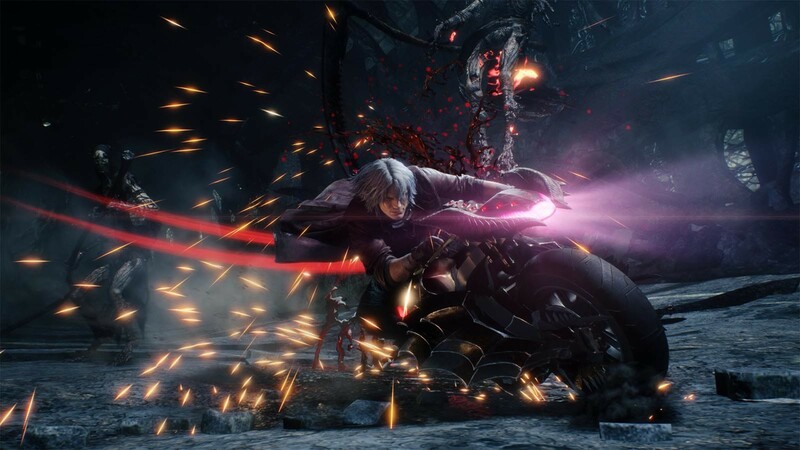 For Devil May Cry 5 though, Capcom are back in full force to continue on the events from DMC4 as our heroes face off against new challenges. The game centers around 3 playable characters, with Dante, Nero and the newcomer V offering very different styles of gameplay. For example Nero likes to use his Devil Breaker Arm to grab foes from a distance and pull them towards him to unleash extra damage. This time he can get disposal arms that offer unique gameplay benefits, such as an arm inspired by Mega Man that allows Nero to fire powerful blasts! Dante on the other hand is much like he's always been in the series, a pure badass with heavy hitting weapons and close quarters combat that is satisfying to pull off with various attacks. Newcomer V plays like no other character in the series with control over powerful familiars that do his bidding, allowing for V to get the final blow on enemies. Each character is able to upgrade their abilities and weapons as they progress further in the game with a large assortment of upgrades. Combat is fast and fluid with plenty of ways to pull off attacks, such as being able to grapple onto a rocket powered arm as Nero and ride it around a room to cause mayhem. Devil May Cry 5 wouldn't be complete without some impressive boss fights and the latest entry in the series doesn't disappoint, with some of the best fights the franchise has ever seen. It's a welcome return for Dante and friends, with possibly the best game in the series thanks to the combat which is stunning. Let's dive into the critic scores to see how the Devil May Cry 5 is doing among the gaming sites! Open Critic currently lists the game at a Strong 89 rating, based on 38 critic reviews. Use your Bikes in Combat as Dante. "Three great characters and a beautiful, fluid combat system make this a must-buy for hack-and-slash fans." 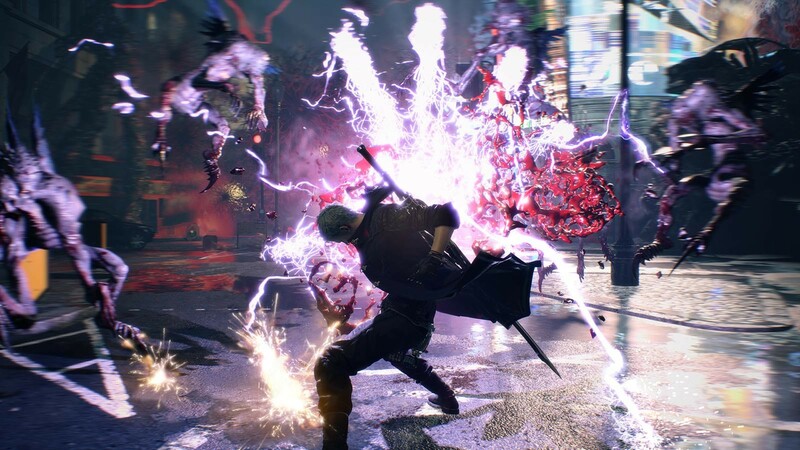 "Devil May Cry 5 is a stunning hack and slash game and never fails to amaze. Combat this good should be illegal." "Devil May Cry 5's trio of outstanding combat styles set a new high bar for the series, and its mysterious story keeps things interesting along the way." "11 years after we last saw Dante, Nero & Co., Devil May Cry 5 shows that the series is in fine form with one of its best installments yet." "Capcom returns to its trusted formula for something that plays like a outrageously pretty PS2 game - and that's a very good thing."